Jean Patrick Modiano is a French novelist and recipient of the 2014 Nobel Prize in Literature. He previously won the 2012 Austrian State Prize for European Literature, the 2010 Prix mondial Cino Del Duca from the Institut de France for lifetime achievement, the 1978 Prix Goncourt for Rue des boutiques obscures, and the 1972 Grand Prix du roman de l'Académie française for Les Boulevards de ceinture. His works have been translated into more than 30 languages and have been celebrated in and around France, but most of his novels had not been translated into English before he was awarded the Nobel Prize. The Nobel Prize in Literature 2014 was awarded to Patrick Modiano "for the art of memory with which he has evoked the most ungraspable human destinies and uncovered the life-world of the occupation". The 2010 release of the German translation of La Place de l'Étoile won Modiano the German Preis der SWR-Bestenliste (Prize of the Southwest Radio Best-of List) from the Südwestrundfunk radio station, which hailed the book as a major post-Holocaust work. La Place de l'Étoile will be published in English in August 2015 together with two other of Modiano's wartime novels, under the title, The Occupation Trilogy. In 1973, Modiano co-wrote the screenplay of Lacombe, Lucien, a film co-written and directed by Louis Malle; it focuses on the involvement of a boy in the French Gestapo after being denied admission to the French Resistance. The film caused controversy due to the lack of justification of the main character's political involvement. Modiano's novels all delve into the puzzle of identity, and of trying to track evidence of existence through the traces of the past. Obsessed with the troubled and shameful period of the Occupation—during which his father had allegedly engaged in shady dealings—Modiano returns to this theme in all of his novels, book after book building a remarkably homogeneous work. "After each novel, I have the impression that I have cleared it all away," he says. "But I know I'll come back over and over again to tiny details, little things that are part of what I am. In the end, we are all determined by the place and the time in which we were born." He writes constantly about the city of Paris, describing the evolution of its streets, its habits and its people. All of Modiano's works are written from a place of "mania." In Rue des Boutiques Obscures (Missing Person), the protagonist suffers from amnesia and travels from Polynesia to Rome in an effort to reconnect with his past. The novel addresses the never-ending search for identity in a world where "the sand holds the traces of our footsteps but a few moments." In Du Plus Loin de l'Oubli (Out of the Dark), the narrator recalls his shadowy love affair in the 1960s with an enigmatic woman. Fifteen years after their breakup, they meet again, but she has changed her name and denies their past. What is real and what is not remain to be seen in the dreamlike novel that typifies Modiano's obsessions and elegiac prose. The theme of memory is most clearly at play in Dora Bruder (entitled The Search Warrant in some English-language translations). Dora Bruder is a literary hybrid, fusing together several genres — biography, autobiography, detective novel — to tell the history of its title character, a 15-year-old daughter of Eastern European Jewish immigrants, who, after running away from the safety of the convent that was hiding her, ends up being deported to Auschwitz. As Modiano explains in the opening of his novel, he first became interested in Dora's story when he came across her name in a missing persons headline in a December 1941 edition of the French newspaper Paris Soir. Prompted by his own passion for the past, Modiano went to the listed address, and from there began his investigation, his search for memories. He wrote by piecing together newspaper cuttings, vague testimonies and old telephone directories, looking at outsider living on the outskirts of the city. Regarding Dora Bruder, he wrote: "I shall never know how she spent her days, where she hid, in whose company she passed the winter months of her first escape, or the few weeks of spring when she escaped for the second time. That is her secret." Modiano’s quiet, austere novels, which also include Night Moves, are described as reading like "compassionate, regretful thrillers." Modiano's 2007 novel Dans le café de la jeunesse perdue is set in 1960s Paris where a group of people, including a detective of shady background, wonder what is or was the matter with a certain young woman called Louki, who, we are told on the last page, ended her life by throwing herself out a window. Even though there are plenty of geographical details, the reader is left with a sense of vagueness as to what happened and when. For the first time throughout his oeuvre, Modiano uses various narrators who relate from their point of view what they think they know about the woman. In the third of five chapters, the protagonist herself relates episodes from her life, but she remains difficult to grasp. The author creates a number of instabilities on various levels of his text and this signifies how literary figures can(not) be created. The protagonist evades being grasped. In Modiano's 26th book, L'Horizon (2011), the narrator, Jean Bosmans, a fragile man pursued by his mother's ghost, dwells on his youth and the people he has lost. Among them is the enigmatic Margaret Le Coz, a young woman he met and fell in love with in the 1960s. The two loners spent several weeks wandering the winding streets of a now long-forgotten Paris, fleeing a phantom menace. One day, however, without notice, Margaret boarded a train and vanished into the void—but not from Jean's memory. Forty years later, he is ready to look for his vanished love. The novel not only epitomizes Modiano's style and concerns but also marks a new step in his personal quest, after a mysterious walkabout in Berlin. "The city is my age," he says, describing Berlin which is almost a completely new city rebuilt from the ashes of war. "Its long, geometric avenues still bear the marks of history. But if you look at it right, you can still spot ancient wastelands beneath the concrete. These are the very roots of my generation." Besson remarks that such symbolic roots gave rise, over the years, "to one of the most wonderful trees in French literature." Some of Modiano’s works have been translated into English, among them Les Boulevards de ceinture (1972; Ring Roads : A Novel, 1974), Villa Triste (1975; Villa Triste, 1977), Quartier perdu (1984; A Trace of Malice, 1988) and Voyage de noces (1990; Honeymoon, 1992). His latest work is the novel Pour que tu ne te perdes pas dans le quartier (2014). Modiano has also written children’s books. 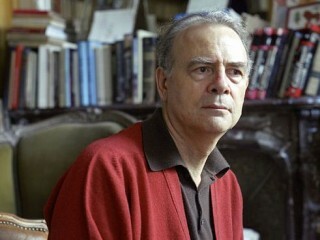 View the full website biography of Patrick Modiano.